LiCCo in the Exe Estuary | LiCCo. Upload your coastal change stories and pictures and tell us about your hopes and fears for the future. 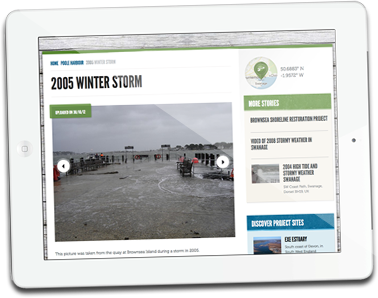 Follow the three step process to upload your coastal change story. Add images and video from YouTube, Flickr or Vimeo and tell us about your hopes and fears for the future. Click on a pin in the map to select a study site and to zoom in, then click on the map to mark where you are. Upload up to 3 photos, and a description of what you’ve seen - be as wordy as you like!